Christ Church Anglican is an excellent example of an unprepossessing nineteenth-century mission church, a simple rectangle of energy-efficient scale and reserved Gothic Revival design erected to serve a community on the cusp of transition from fur trade post to the modern era. 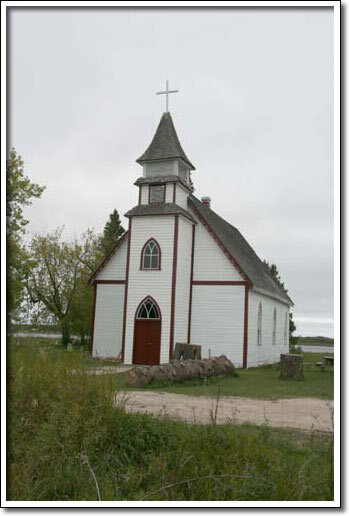 By building the walls in Red River frame, smaller logs were used, which enabled the Fort Alexander parishioners to cut and haul the wood and construct the church themselves in the seasons between 1868, when the Hudson's Bay Company granted the land, and 1870, when the church was consecrated. Pointed Gothic windows, some with coloured glass; decorative bargeboards and carved furnishings further speak to the piety and aesthetic of the faith community. The building, respectfully expanded and restored over time, occupies a symbolic site next to the historic Winnipeg River exploration and trade route, surrounded by boreal forest of ancient Aboriginal habitation.